Clever, clever Mr Burt has done it again by adding a kiss of colour, a hint of shine and dash of glamour to their world famous lip balm. Lip balm is an every day beauty essential, a women without her lip balm is like a leopard without its spots! 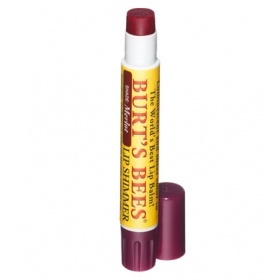 Burt’s Bee’s world famous bee’s wax lip balm conditions, smoothes and now highlights your lips with a wonderful selection of seven shimmering shades. Natural ingredients like vitamin E, coconut and sunflower oils nourish, moisturise and soothe your lips leaving them soft and supple and ready to pout. 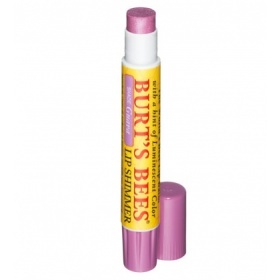 All lip shimmers are priced at £5.87 and are available from The Burt’s Bee’s website. Get us a truckload of it now!